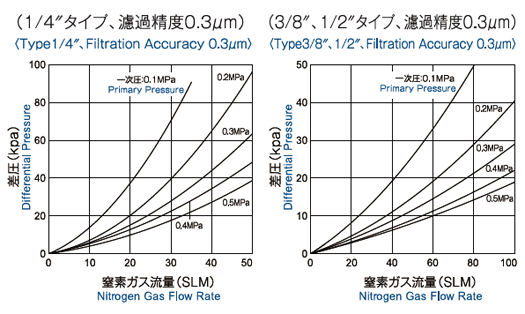 Protection Filter, PF series has two functions as a metal gasket and gas filter. 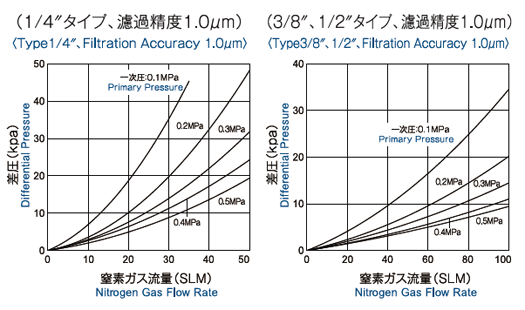 This allows integration of gas filter without adding length to gas system. 0.3μm or 1μm for particle retention and 316L stainless steel or Nickel gasket material are availablr. Those PF series protect gas components, such as valce, mass flow controllers and regulators from particle damage. Fits into a metal seal fittings as a gasket. Extends the life time of high particle retention gas filter by the installation. Saves the cost of maintenance for valve, MFC and Regulator. ※Available for othe company's gasket seal fittings. 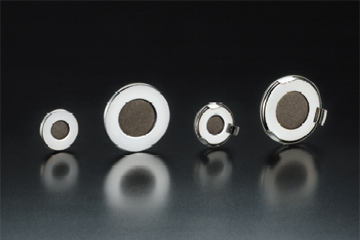 ■1/4" type ※Retainer material is made of 316L stainless steel. ■3/8" or 1/2" type（common） ※Retainer material is made of 316L stainless steel.